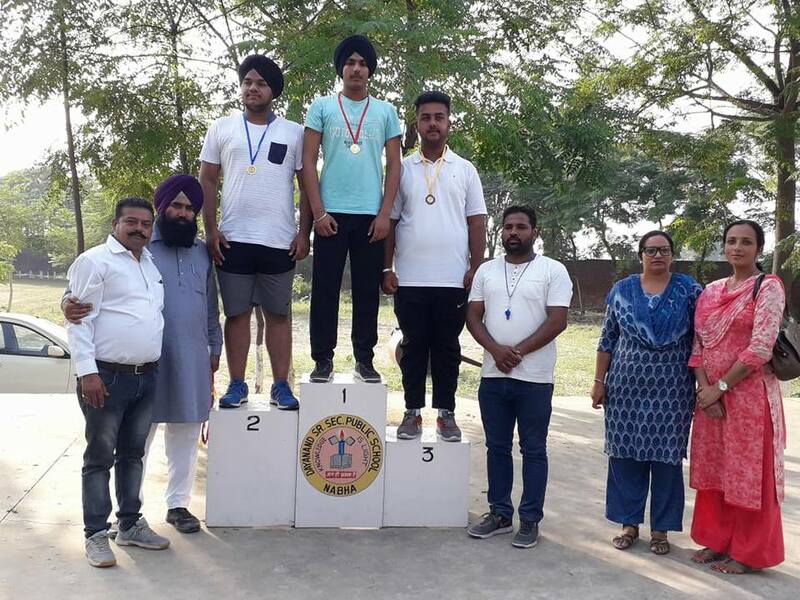 DAV Public School Nabha got 10 medals in Punjab School Education Board district Athletic Meet held at physical Education College Patiala from 16 -10 -18 to 18- 10-18. Kanchan Preet Kaur won gold medal in shot put ,Navneet Kaur gold in javelin throw, Gagneet Kaur gold in triple jump, Harnirpal Singh gold in javelin throw, Harpreet Kaur silver In javelin throw,Mehakpreet Kaur silver in discus throw, Jashan Veer Kaur silver in high jump ,Jashanpreet Kaur bronze in shot put, Harnirpal Singh bronze in discus throw ,Jashan Veer Kaur bronz in 10×100m hurdles.Miss Meena Mehta, Principal of the school applauded the students for bringing laurels to the school. She also congratulated the mentors and parents by sharing this proud moment.